Instructor: Trent Wickman, Air Resource Specialist for MI-MN-WI, Eastern Regional Office, USDA - Forest Service. Capacity is limited so register soon! If you have any questions about the Workshop please contact Jack McGowan-Stinski, or at 989-287-1734; for registration questions contact Ryan Koziatek. Smoke Management and Smoke hazards are one of the most important things to plan for and manage when doing a prescribed burn, or to consider during any wildfire suppression. 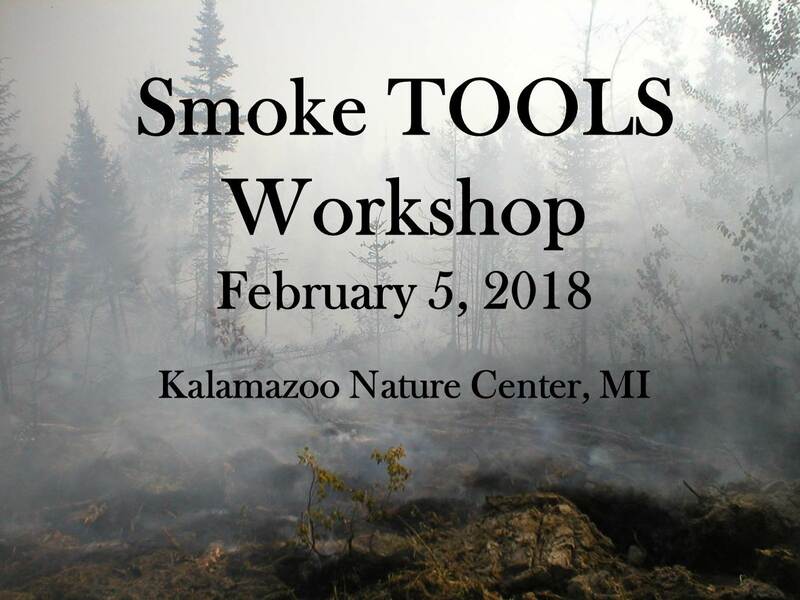 This one-day workshop has been designed to provide hands-on experience with new, easy-to-use, online tools, and is designed for anybody working in wildland fire – a good introductory workshop for those who have not had much smoke modeling and management exposure, or as an excellent refresher for those who have had another smoke course. Bring example burns/ burn units from your home area, and a laptop, and we will work on evaluating smoke issues with these burns; if you do not have a burn unit in mind we will provide examples for you. Trent Wickman is an Air Resource Specialist with the US Forest Service, Eastern Region. Trent grew up in northern Minnesota and the Upper Peninsula of Michigan. He attended Michigan Tech University in Houghton, MI and received a B.S. in Biology and an M.S. in Environmental Engineering. After graduation in 1996 he worked as an Air Permit Engineer for the Minnesota Pollution Control Agency for five years drafting and issuing air permits for new industrial sources. Since 2001 he has worked for the US Forest Service as an Air Resource Specialist assessing the impact of air emissions from industrial sources to forest resources and also supporting prescribed burning operations through various smoke management activities. In his spare time Trent prays for snow so he can go X‐C skiing, is a boy/cub scout leader, fishes and chases his two boys around. Trent is based in Duluth. twickman@fs.fed.us, (218) 626‐4372.